When you have a new bundle of joy on the way, you want everything to be perfect, and that includes your little one’s nursery. Deciding how to paint and decorate the nursery is often one of the hardest parts of preparing the baby’s room. Check out these interior painting ideas if you’re looking for some inspiration. There are plenty of reasons to choose a neutral color scheme for the nursery. If you don’t want to know the baby’s gender until he or she is born, a neutral gray or off-white shade allows you to keep things basic until the baby is born. From there, you can incorporate other colors. A neutral color scheme is also ideal if you plan to live in the home for most of your child’s life. It will be easier for him or her to add personal preferences when old enough to do so. Why not up your interior painting game by creating something completely unique? Hire someone to paint a mural on one wall, leaving the remaining walls white or another neutral shade to create contrast. Other ideas include stripes, polka dots, textured paint patterns and more. Who says a baby’s nursery needs to be pastel pink or neutral gray? Go bold with deep purple and gold, neon pinks and greens or any number of eye-popping color schemes. A unique color combination will keep you from becoming too bored during the many hours you’ll be rocking the baby to sleep in the room, and the other moms you have over for play dates are likely to be quite impressed. Ensure the interior painting job in your baby’s nursery is flawless. 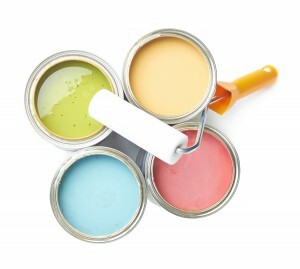 Always hire a professional painting contractor to get a job well done and at a price you can afford.